Detective Lieutenant David J. Kane, Milwaukee Police Department (ret. ), “was born and raised in the Midwest and has resided there most of his life. A father of five children, his oldest son is also a police officer. David retired from the Milwaukee Police Department in Wisconsin in 2000 after serving for thirty years. He retired at the rank of Detective Lieutenant and had been assigned to the Homicide Unit for many years. He has a B.S. in Criminal Justice Administration, and has attended the FBI National Academy in 1993.” Detective Lieutenant David J. Kane is the author of M.P.D. Blue. When Milwaukee became a village in 1834, it had a town marshal; when it became a city, it had a city marshal appointed by the person in power at the time. The marshal was not able to cope with the lawless element. Thieves, burglars and robbers were finding the rapidly growing Milwaukee a good, safe place to ply their illegal trades. The county sheriff tried to keep the city crime down but did not have enough deputies to handle the crime wave. One of the deputy sheriffs in the year 1851 was Herman L. Page. He had some success catching a few robbers, and was elected sheriff in 1853. Page knew a farmer named William Beck living near Granville, and he also knew that Beck had been a detective on the New York police force. Page made Beck a deputy sheriff and told him to get busy catching thieves. Beck caught a lot of them, and although his work eliminated many criminals, lawlessness continued, and citizens began demanding a police force. 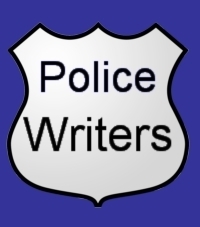 On September 3, 1855, Alderman Powers introduced an ordinance for the creation of a police force. The ordinance was printed in the official papers of the city the next day. The ordinance passed after some amending, and on October 4, 1855, the Milwaukee Police Department began functioning. Today, the Milwaukee Police Department employees nearly 2000 sworn police officers and is organized, broadly, into three bureaus: Administration; Patrol and Criminal Investigations.